I offer down to earth, high performance coaching, consulting, training and speaking programs to support you on your journey to become a better leader and co-leader of change. 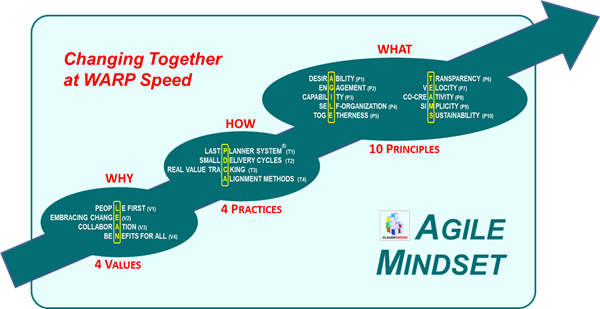 Each program is based on sharing and implementing the time-tested and very effective Agile Mindset illustrated at the right. 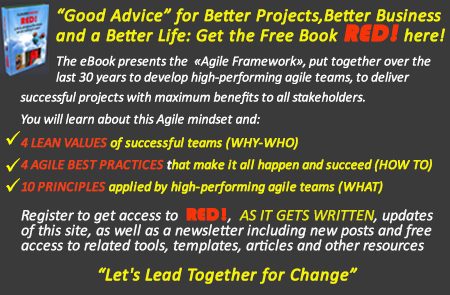 Download your free mini eBook “RED” for a complete description of the Agile Mindset. Align and engage all stakeholders. Promote and foster the individual and collective behaviors that are necessary to generate outstanding collaboration and help co-create imaginative, very effective and highly valuable solutions and outcomes. Using and adapting the 4 prevailing techniques that are the building blocks of most, if not all the most effective and high-performance adaptive tools, how-tos, agile, lean and similar methodologies used on all successful projects. 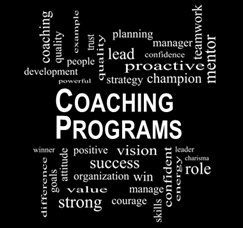 I provide highly effective personal and team coaching to make you completely self-sufficient, and ever more successful and happier at work and all other areas of life. We will accomplish that together, through mutual sharing and coaching, as we co-create, co-develop, let you choose and integrate YOUR VERY OWN Agile Mindset, aligned with your values and adaptable to your specific business and personal needs. 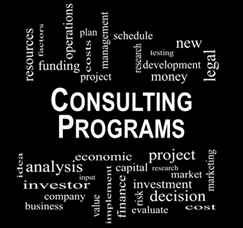 I provide professional business and personalized consulting services for you, your teams and your collaborators. By delivering necessary benchmarking and diagnostic information, global perspectives and very specific contextual recommendations, I support developing and implementing YOUR VERY OWN high performance, agile, collaborative and co-creative change/project strategies and detailed action plans. 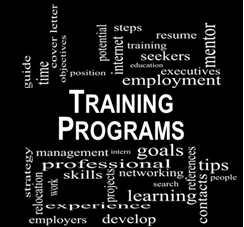 My workshops, seminars and courses cover organizational agility, agile-lean project management, portfolio and program management, benefits realization management and forming, building and developing teams. This effective training is designed and developed to be readily actionable in your specific environment, both during and immediately after its delivery. 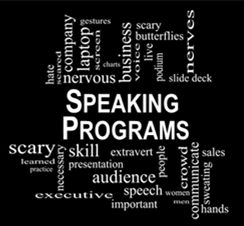 For more than a decade, I have been invited to deliver speeches, keynotes and presentations at conferences around the world. My most popular messages are on organizational engagement, productivity, as well as transformational changes and the best behaviors and practices that make them succeed.